Hult Prize On Nepalese Campus Final”, from the Hult Prize Foundation at Tribhuvan University, School of Management (SOMTU). It is a global movement of student leaders that have the objective of inspiring youth to change the world through business. Hult Prize is known as the ‘Nobel Prize’ for students and is endorsed by the United Nations and supported by The Clinton Foundation. This event will take place at the SOMTU premises located in Kirtipur, on 10th December 2018, from 9 am to 4 pm. This year’s theme is ‘Unemployment: Creating employment for 10,000 people in a decade’ and the students will pitch their ideas. 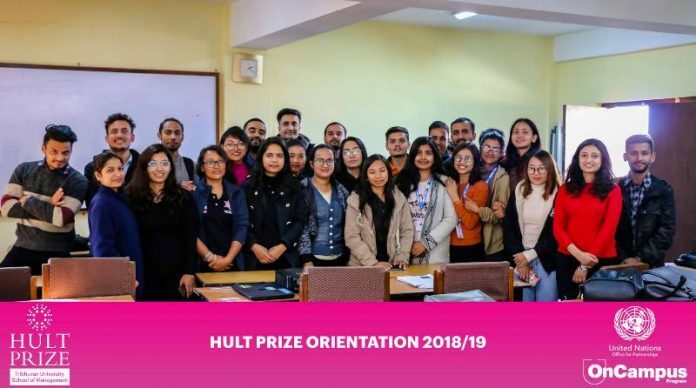 The Hult Prize at TU, SOM aims to encourage and engage all departments and colleges affiliated with TU. 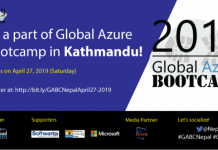 The student outreach is extraordinary as more than 4,00,000 students from Tribhuvan University will be a part of this competition. 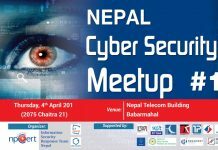 The promotional events will be taking place in various colleges and departments of TU all over Nepal. This will result in many enthusiastic students participating in the development and teams bringing new and innovative ideas to solve the current issue of unemployment and provide meaningful work. The winner of the intra- university event will automatically advance to compete in one of the regional finals in next March. One winning team from each significant host city will then move onto a summer business incubator, where they will receive Guidance, advisory & strategic planning as they are creating prototypes and set-up to launch their new social business. Next articleHow To Create Khalti Account And Make Digital Payments In Nepal ?